HOUSTON (KTRK) -- Whether or not the Texans get close to the Super Bowl next year, the big game will certainly be the focus here in Houston. The city is already gearing up to welcome the thousands of fans and media from around the world. 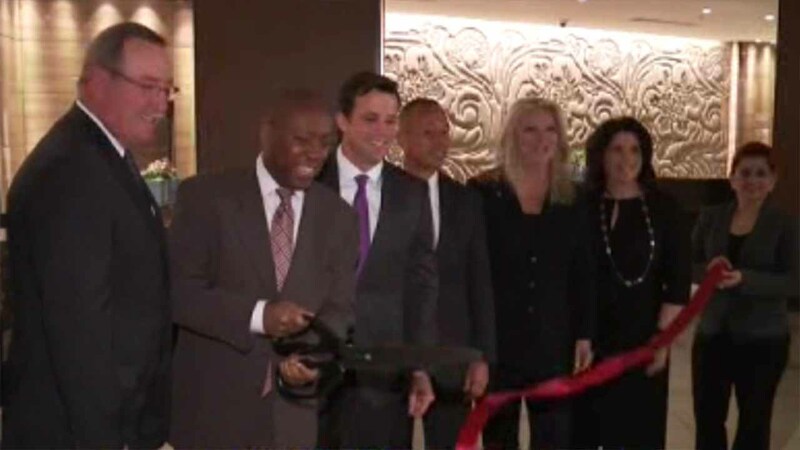 "We are getting ready for the Super Bowl and for beyond," said Mayor Sylvester Turner, who attended this morning's ribbon cutting of a revamped Marriott at Bush Intercontinental Airport. "It's not just for the Super Bowl, but for people who are coming here from all over the globe." In fact, the Marriott hotel chain is well aware that its various properties in Houston need to be in top shape for the influx of travelers. "We're thrilled to be here," said Rob Steigerwald, Chief Operating Officer for Marriot North America's Western Region. "Very grateful for the partnership that we have, and I think it helps position Houston with the Final Four, the Super Bowl coming the next two years for us to take it next level up." Across town at Hobby Airport, the busy Broadway corridor is undergoing a full revamp. The city is working on the infrastructure, while Scenic Houston announced today it will help beautify the stretch of road that will be used by many visitors. "Following a street rebuilding that the city's doing, Scenic Houston is going to improve these wide broad medians, we are adding overarching live oaks, new lighting, to make it more welcoming, safe, and walkable," said the organization's Anne Culver. That is news for frequent travelers like Sheryln Bourne, who is proud to call Houston home, but would love to see some improvements. "If that's where the flights are coming to, they would definitely need to do some improvements, even to the routes," she said. Houston city leaders are listening. They want the country's fourth largest city to shine brightly for a world wide audience next year.